Would you use a Sleeping Pod? You could spend a couple of weeks and still not see all of Tasmania. We only had a week, so we looked at the most efficient way of seeing as much as we could. 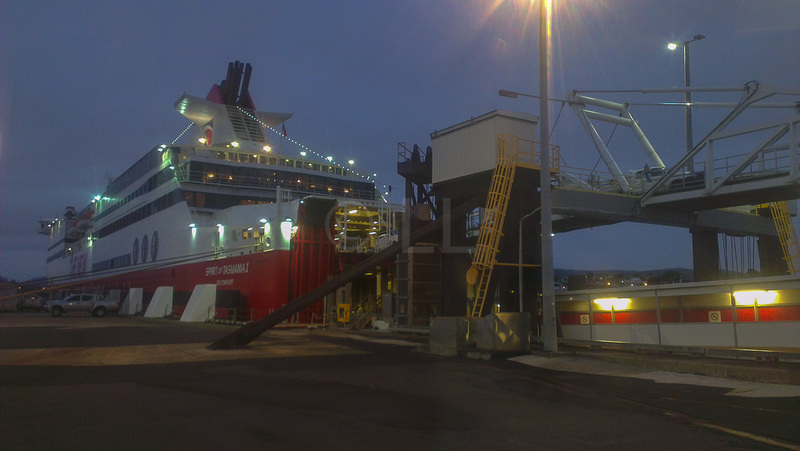 The options were to fly into either Launceston or Hobart from our starting point of Melbourne and either do a loop or a one-way trip between the two cities, or to catch the ferry between Melbourne and Devonport, the Spirit of Tasmania Ferry . 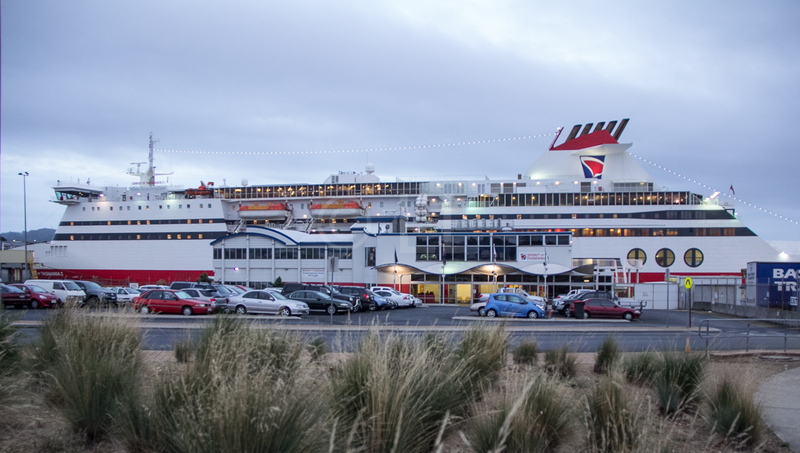 The Spirit of Tasmania carries both vehicles and passengers and is an important link between this island state and mainland Australia. Tasmania is not well serviced by international flights from any airlines, so flying directly wasn’t really an option. 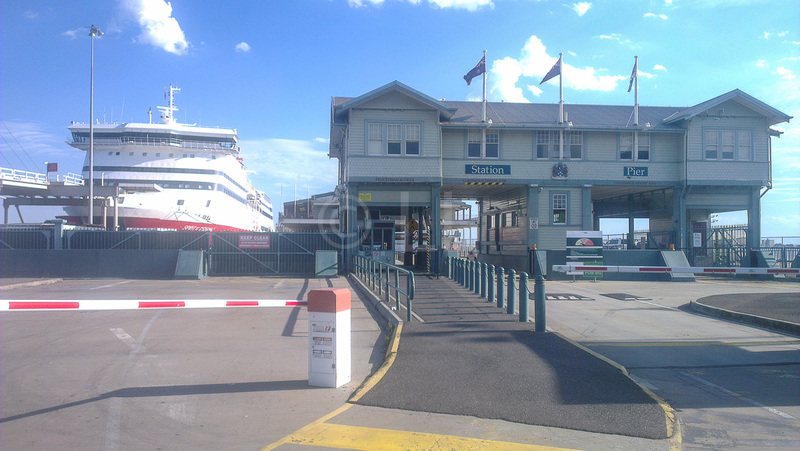 As a result we opted to fly in to Melbourne to catch up with friends and then use the Spirit of Tasmania Ferry to travel from Port Melbourne to Devonport in the north of the state. It’s not the least expensive option, but if it’s an overnight trip, is that you can count that as saving a night’s accommodation. We opted for the overnight service – it was the only one available on the date we wanted anyway. You have a choice of different cabin types, or you can opt for a free recliner in a private lounge. We purchased our tickets through the Travel with a Cause group, which offers a small discount. 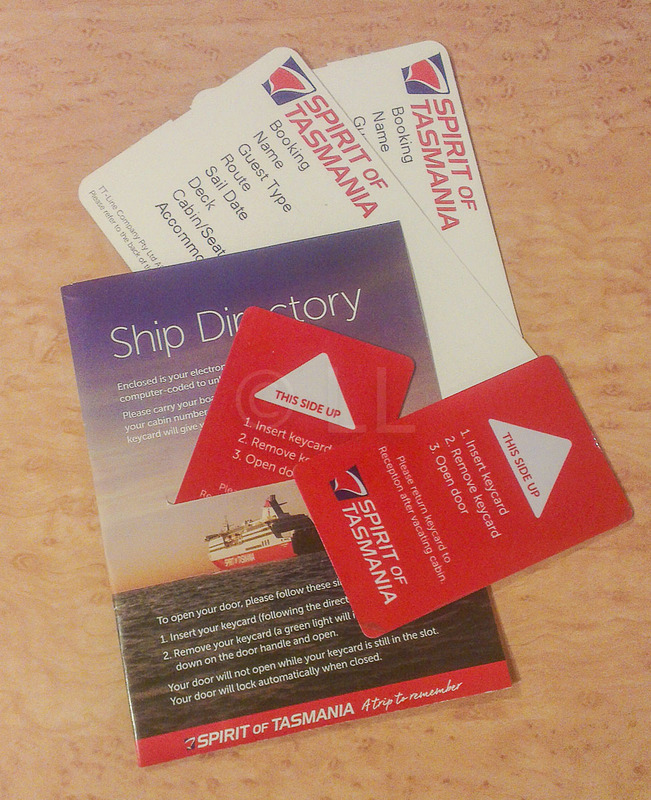 Get all the information about schedules and choices from the Spirit of Tasmania website. The boarding time is advised on your booking, and you need to collect your ticket at the counter when you arrive at the terminal, so allow sufficient time – it’s good to arrive about 2-3 hours before departure. 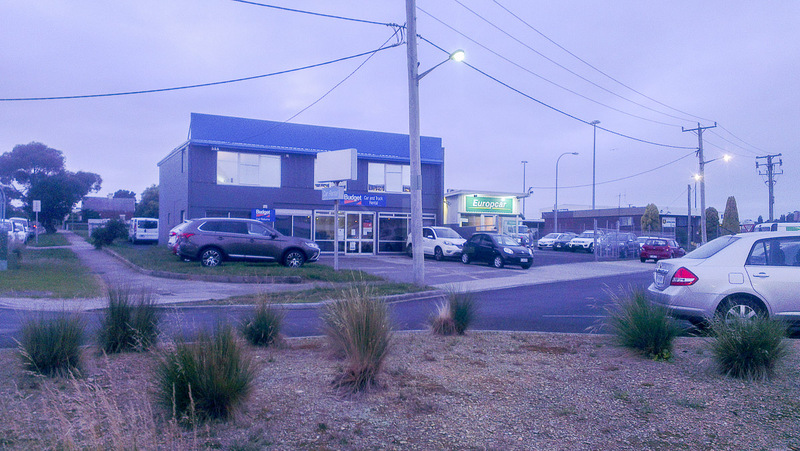 Port Melbourne is not far from the city. You may be able to return a rental car at the Port, depending on the company you used, but if the city is the closest option, (as ours was) get yourself to Southern Cross Station (Spencer St) by train, bus, taxi or tram and catch a tram just over the road in Collins Street. 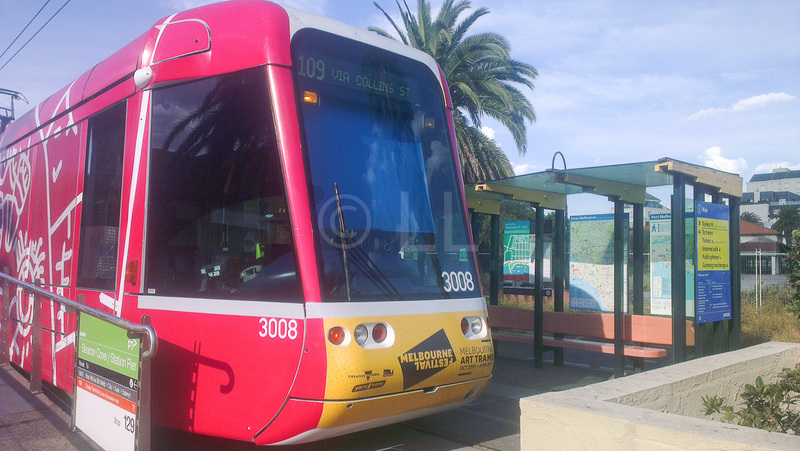 Tram 109 will take you directly to Port Melbourne, the terminus is within easy walking distance of the entry to the Ferry Terminal. If you want to take food and drinks with you, there are two supermarkets and a liquor distributor in the Station – we found Woolies and their associated BWS upstairs at the Collins St end of the station. As there are quarantine restrictions on fruit and other items which can’t be taken in to Tasmania, make sure you only buy what you can consume before you arrive in Devonport. There’s also a baggage store in the centre of the terminal and baggage lockers in various locations, if you arrive early and want to wander around Melbourne for a few hours. We caught the tram from Spencer Street, which took about half an hour, giving us plenty of time to collect our boarding passes at the counter and wait for boarding time. There wasn’t any place to sit and enjoy a cup of coffee or a snack, however there are plenty of chairs available for those waiting. **Tip – There aren’t any convenience stores or supermarkets in the terminal, so if you want to get some supplies, make sure you do this beforehand. Apart from the supermarket at Spencer St Station, we also noticed one small food store close to the tram terminus. 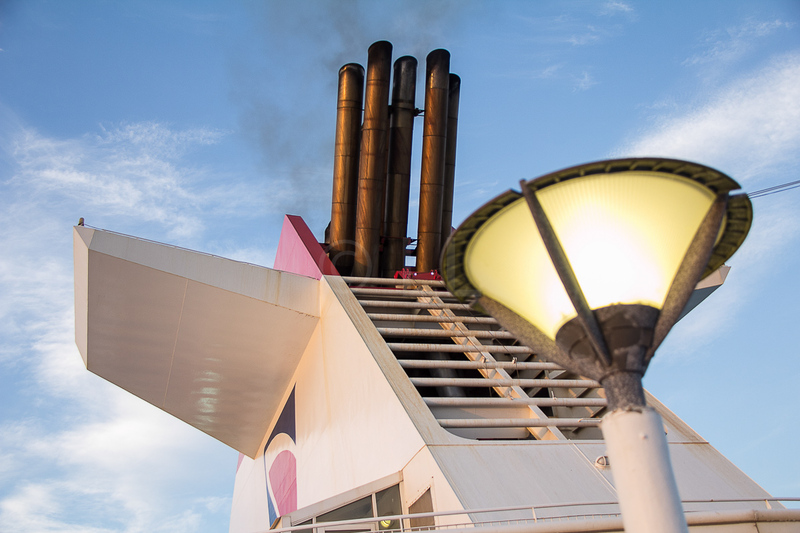 Make sure you are ready to disembark when they sound the signal. 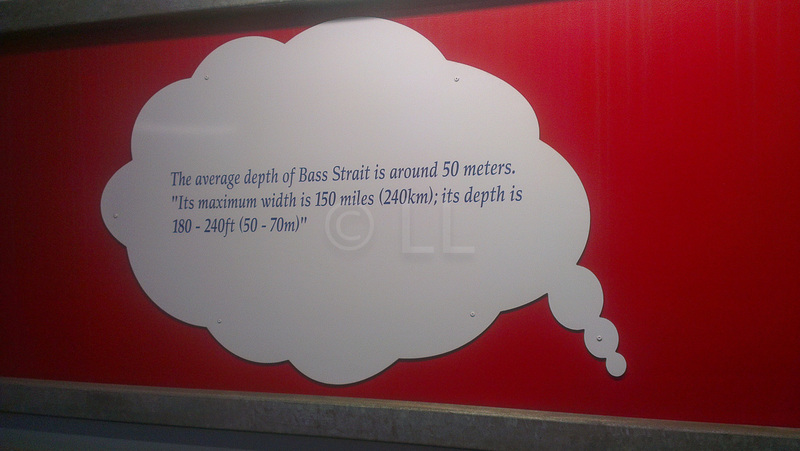 It’s quite a long walk to the terminal but there are some interesting informational signs on the way that give you some facts about the Ferry and Bass Strait which you’ve just crossed. You will need to have your bags checked by quarantine officers – you can’t bring in fruit or flowers to Tasmania and they will be confiscated. Biosecurity Tasmania has all the information on what you may and may not take in with you and they are very strict. There’s also a link on the page to tell you what you can’t take out. 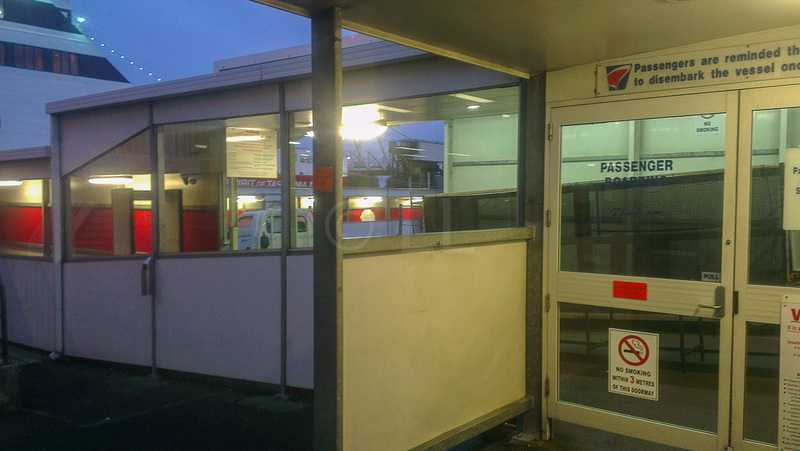 You will definitely need a car to get either to or from the ferry terminal in Devonport. The terminal is on the opposite side of the Mersey River from the town and while we were collecting our car, we didn’t see any evidence of public transport. We asked the people at the Car Hire office where they recommended we pick up some lunch things, useful if you’re planning to stop as and when you find the right location. We were very happy with the recommended cafe, close to the roundabout on our way to the main road. It’s a bakery with good coffee and we were able to pick up some good sandwiches to take away. Boarding begins two and a half hours before the sailing time (for our trip this was 7.30pm) and closes 45 minutes prior. 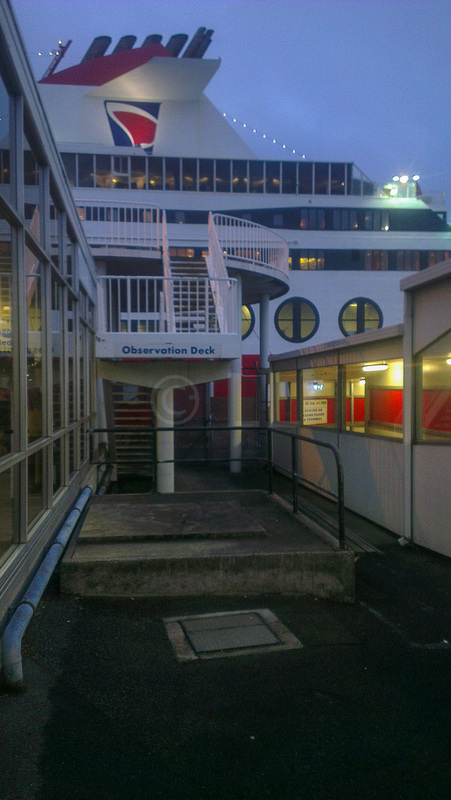 This will give you plenty of time to find your cabin and a good viewing spot on the deck to enjoy the departure. 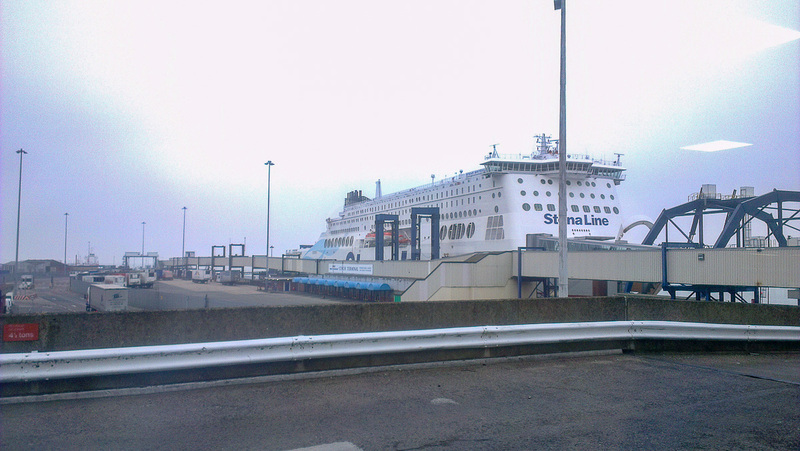 You enter the Ferry at the rear (aft) of the vessel greeted by crew members who will check your Cabin number and direct you in the right direction. This is a useful part of the ship – you can collect travel information for your destination as well as information about the Ferry. Finding our cabin was not difficult as we had the Deck and cabin number on our boarding pass. There is a lift as well as stairs close to the boarding entrance. There are staff members in attendance to assist. After settling in to our cabin, we set off to explore and find a good vantage point from which we could enjoy our departure. There are plenty of options for finding food – there’s a sit down restaurant serving breakfast, lunch and dinner with a focus on Tasmanian produce. Bars and lounges on Decks 9 and 10 serve drinks and snacks and take-away items can be purchased from well stocked Pantry. There are two cinemas on board, with ticket prices comparable to on-land prices and there are four different Kids’ Activities available depending on the sailing. There is a gaming lounge open until midnight on night sailings and a reading reoom for those looking for a quiet spot. The Ferry is equipped with ATM and EFTPOS facilities. Paid wifi is available if you need to stay connected, by the hour (AUD6) or crossing (AUD18). If you are hoping to use your mobile data, it will disappear not long after you leave Port and not reappear until you reach Devonport. Though we booked a two bed porthole private cabin, we were given a four bed porthole cabin, with exclusive use, for the same price. 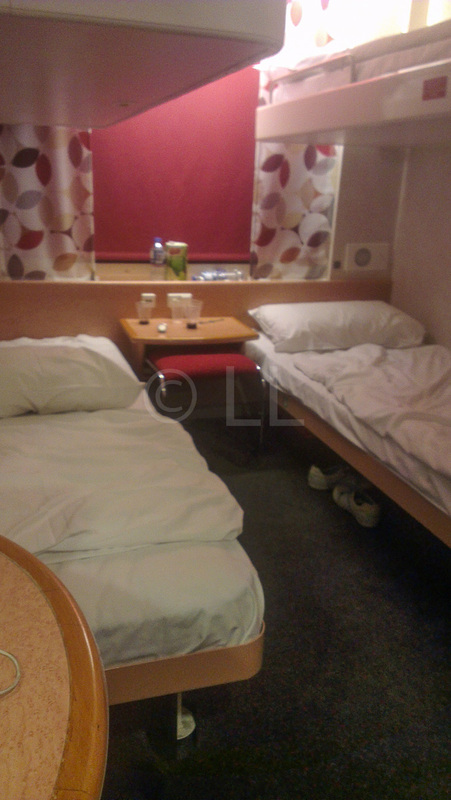 There’s a table between the lower bunks and a generously wide ledge under the porthole as well as a table under the mirror outside the bathroom, so plenty of places to put things and use to sit and eat. The cabin was compact but well laid out and there was enough room in the bathroom to enjoy using the shower. Soap and towels were provided and everything was spotless. The beds (bed linen provided) were comfortable and we slept well, hardly even noticing the slight roll as we crossed the Bass Strait. 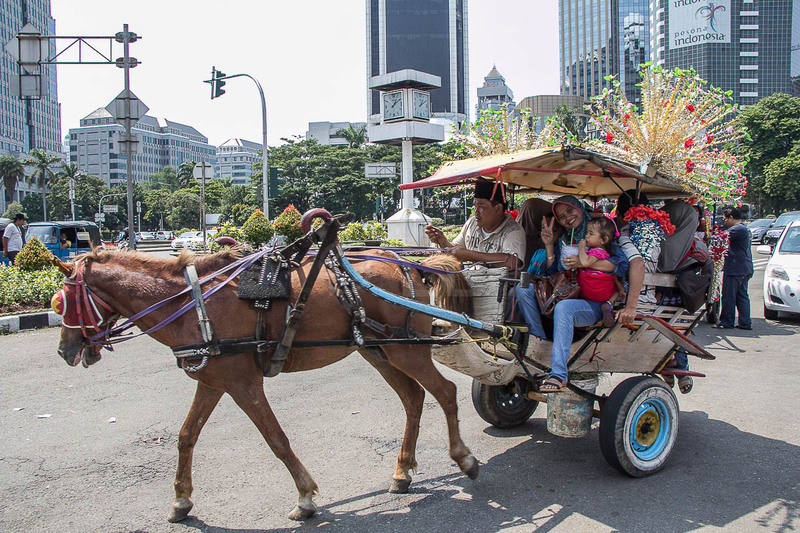 Possibly, though a day trip would be a less expensive choice as the fares are lower. If you can reserve a recliner, you’re well organised. You can leave two pieces of luggage on a trolley – ask at Reception – so you don’t have to worry about leaving your things unattended if you go for a movie or a wander. A day sailing would also give more time to enjoy the range of facilities on board. Depending on the time of year, you may be fortunate, as we were, to pull out from the docks at sunset. We were rewarded with a brilliant show as we departed, as the ferry turned and headed out across Port Phillip Bay towards Dromana before making a hard right turn towards the entrance of the Bay at Fort Nepean / Point Lonsdale and out into Bass Strait. If it’s a clear night and not too cold, enjoy the lights around the Bay and then the stars overhead without any ambient light.